Bringing heterogeneous data into a homogenous data warehouse environment is one of the most daunting aspects of any big data implementation. 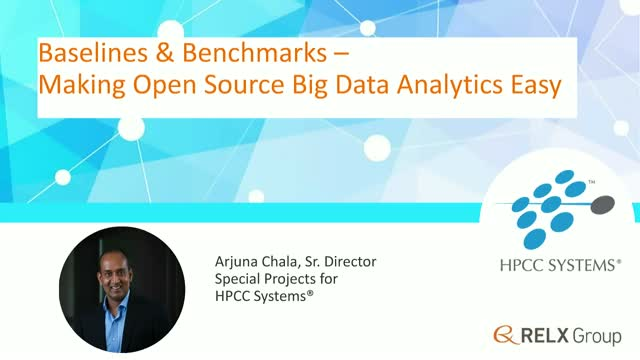 Even though Apache Spark and HPCC Systems Thor can be thought of as complementary, there is interest in comparing their performance with data analytics-related benchmarks, specifically transformation, cleaning, normalization, and aggregation. Join us to hear how HPCC Systems Thor's performance compares to Apache Spark utilizing standard benchmarking methodologies.